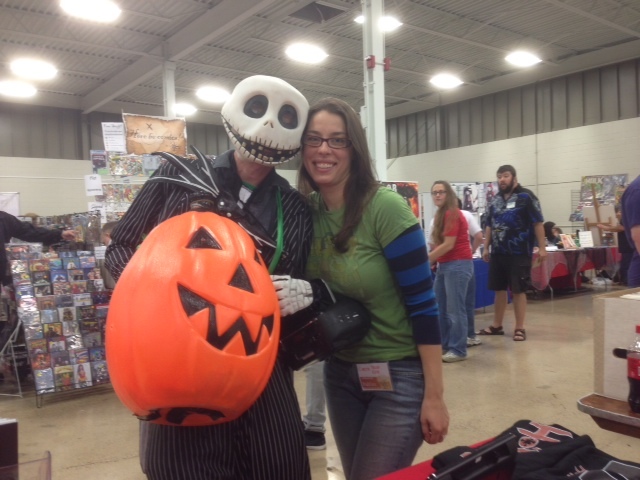 FallCon 2013 wrap-up! With pictures! So here I was! 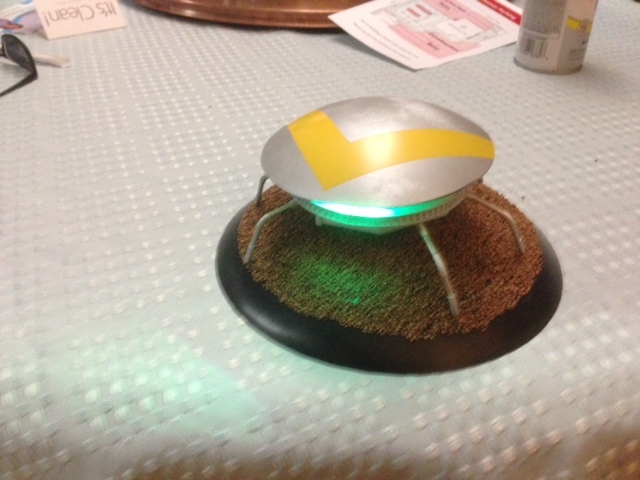 This was our (Conrad Teves and my) setup for FallCon 2013! Oh, man, we had a blast. There was a HUGE turnout! 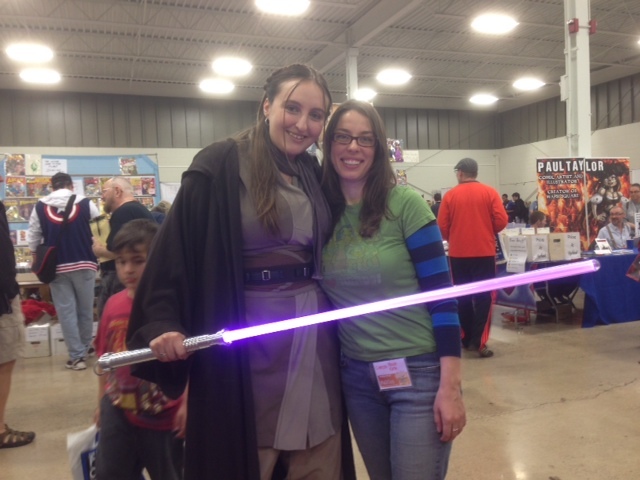 TONS of amazing costumes, artists, writers, volunteers, and staff. Thank you to EVERYONE who stopped by to chat and support us. 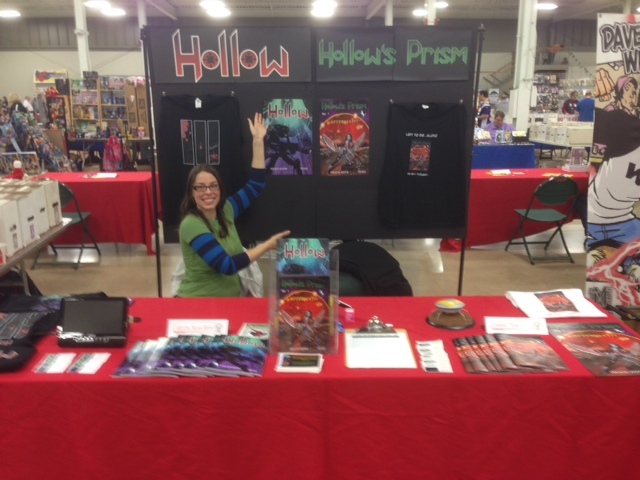 Our release of HOLLOW’S PRISM: Issue #1 “Aftermath” went over big. It was such an amazing experience. Once again MCBA outdid themselves. 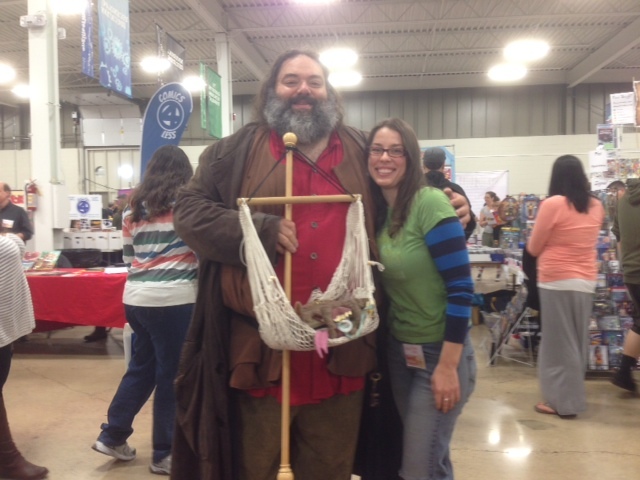 Hagrid and I! This is becoming tradition. Hagrid comes every year and I’ve enjoyed talking to him each time. His costume has great detail, from a pink umbrella to a “Monster Book”. So much fun! Jack was so much fun! He even threw candy to the artists/creators from his jack-o-lantern! His CD player even played music from A Nightmare Before Christmas. STAR WARS! STAR WARS! STAR WARS! There were characters EVERYWHERE! 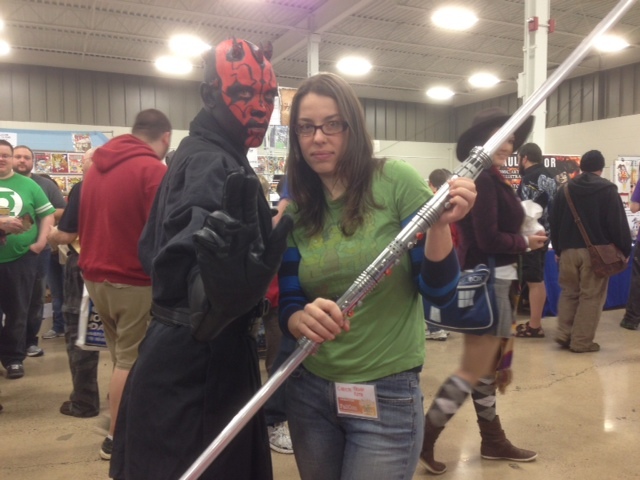 From Jedi to Darth Maul to Jawa’s to Tuskan Raiders, Star Wars costumes dominated the con. 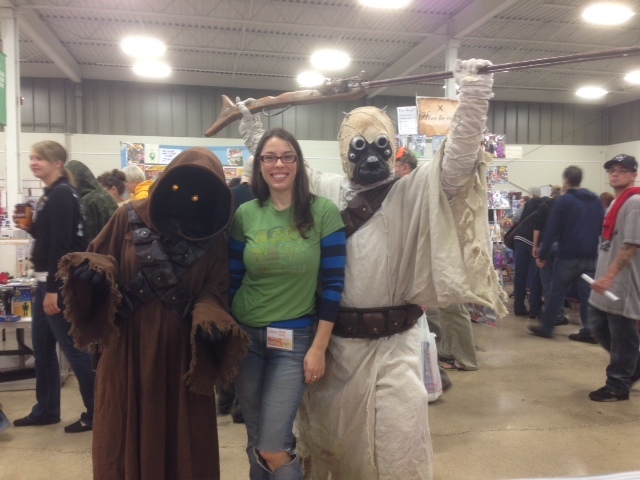 Turns out, they were part of a fundraising event at a B&N later that day, but all wanted to come to FallCon first! As you can see, I had so much fun. Thanks again for everyone who made it out, all the staff/volunteers, and the other artists/creators and vendors that made our day so wonderful. I can’t do this without the continued support and encouragement I’ve received from so many and I really do love to do this. So thanks again! !